Hologic, Inc. (Nasdaq: HOLX) announced today that its Aptima® HIV-1 Quant Dx Assay has received two new CE marks in Europe – for early infant diagnosis (EID) and for testing dried blood spots (DBS). This means the assay can be used to qualitatively detect HIV-1 RNA as an aid in the diagnosis of HIV-1 infected infants under 18 months old, and to test an additional sample type (DBS) to monitor viral load and disease progression in HIV-1 infected individuals in European and African countries. It is the first and only dual-claim assay for both viral load and early infant diagnosis. The dried blood spot claim is particularly important in the African market as it is a much more stable and easily transportable sample type than liquid blood. 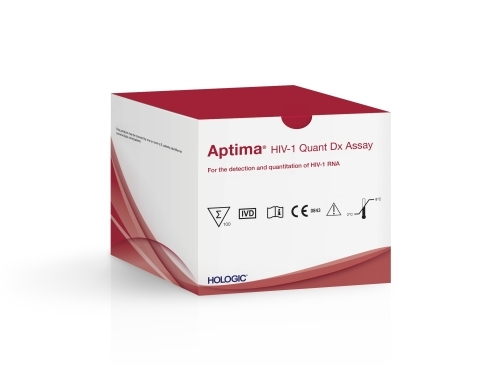 The Aptima HIV-1 Quant Dx assay is an in vitro nucleic acid amplification test (NAAT) for the detection and quantitation of HIV type 1 (HIV-1) on the fully automated Panther™ system. It is intended as an aid in the diagnosis of HIV-1 infection, as a confirmation of HIV-1 infection, and as an aid in the clinical management of patients infected with HIV-1. The Aptima HIV-1 Quant Dx assay may also be used in conjunction with clinical presentation and other laboratory markers for disease prognosis in HIV-1 infected individuals. The Aptima HIV-1 Quant Dx assay was awarded World Health Organization prequalification for in vitro diagnostics using plasma samples on December 21, 2017. This means that the assay meets WHO standards of quality, safety, performance and reliability, and allows global health organizations to consider the Aptima HIV-1 Quant Dx assay for public sector procurement in resource-limited settings. Hologic has a long-term legacy in the virology space that began two decades ago and spans development of the first NAATs to screen the blood supply for HIV and HCV (hepatitis C virus). In the early 2000s, Hologic's diagnostic portfolio evolved to include qualitative assays for HIV and HCV, and now also includes quantitative assays for HIV, HBV (hepatitis B virus) and HCV. The Hologic Global Access Initiative will offer a single, all-inclusive pricing structure with no upfront cost or capital expenditure, providing access to four crucial molecular diagnostic tests across all eligible countries. This offers resource-limited countries a new, less costly way to mitigate the burden of infectious diseases with increased testing supply and superior technology. For more information, see www.hologic.com/globalaccessinitiative. This news release may contain forward-looking information that involves risks and uncertainties, including statements about the use of Hologic’s diagnostic products. There can be no assurance these products will achieve the benefits described herein or that such benefits will be replicated in any particular manner with respect to an individual patient, as the actual effect of the use of the products can only be determined on a case-by-case basis. In addition, there can be no assurance that these products will be commercially successful or achieve any expected level of sales. Hologic expressly disclaims any obligation or undertaking to release publicly any updates or revisions to any such statements presented herein to reflect any change in expectations or any change in events, conditions or circumstances on which any such data or statements are based. This information is not intended as a product solicitation or promotion where such activities are prohibited. For specific information on what products are available for sale in a particular country, please contact a local Hologic sales representative or write to womenshealth@hologic.com. Hologic, Panther, Panther Fusion, Aptima and The Science of Sure are trademarks and/or registered trademarks of Hologic, Inc. in the United States and/or other countries. 1 Hologic, Inc. Data on File. 2 Ratnam S, et al. Workflow and maintenance characteristics of five automated laboratory instruments for the diagnosis of sexually transmitted infections. J Clin Microbiol. 2014;52(7); 2299-2304.